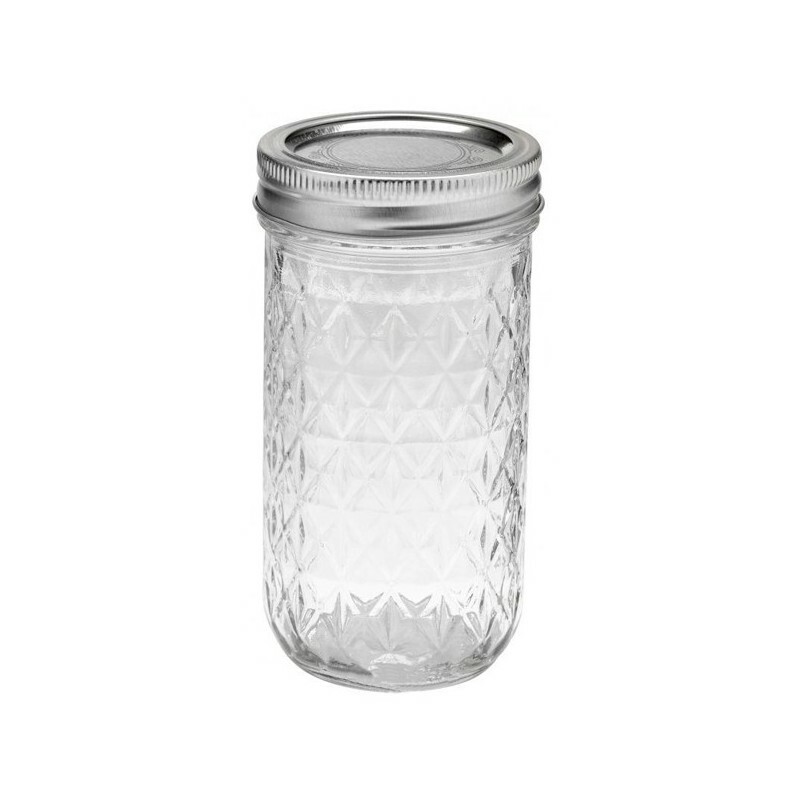 Ball mason regular mouth jam jar textured with an elegant old world quilt pattern and oval space for a personalised label. 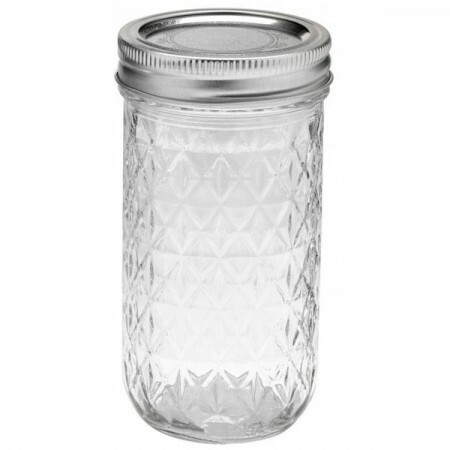 This genuine Ball mason jar was originally designed for preserving and can also be used as a quirky drinking glass, party decoration, glass storage and more. 340ml (12oz) pint capacity. Ball mason jam jar with a regular mouth and textured with an elegant old world quilt pattern with an oval space to affix a personalised label. Old world quilted pattern with an oval space for a personalised label. 340ml (12oz) pint capacity. 135mm high with a 70mm regular mouth.